As crepe paper is gaining popularity, especially in the world of flower making, we have been asked so many questions about all things crepe paper. 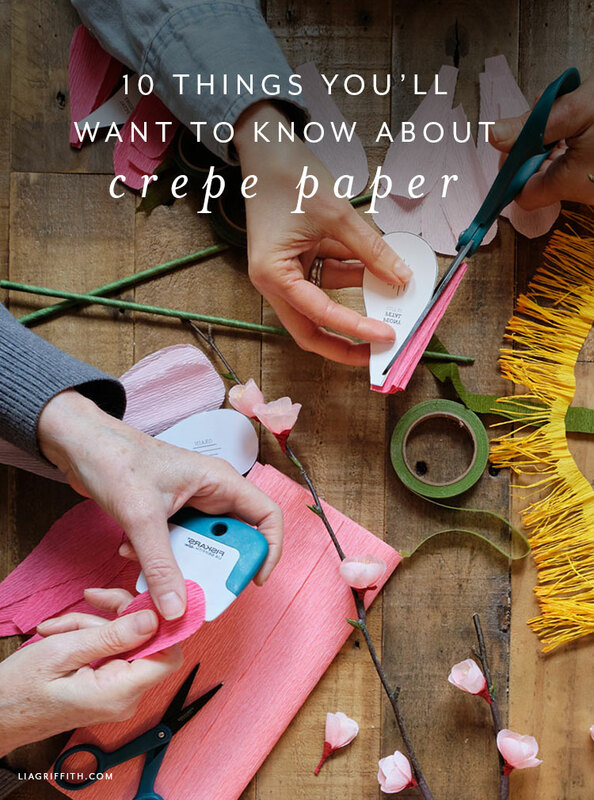 We decided to make this video to not only answer the questions we get most often about crepe paper but also share with you our love for this favorite craft material. So here it is — the 10 things to know about crepe paper! In my video on the top 10 things to know about crepe paper, I share what I know about different kinds of crepe paper. This includes crepe paper from different countries—including our own line of crepe. I also talk about lightweight versus heavy crepe paper and why both the quality and the stretch of your crepe is so important. In the beginning of the video, I share some interesting facts about crepe paper, including the history of crepe paper and how it’s changed over the years! As you know, I love to use crepe paper to make flowers and plants. So you will hear some tips on this throughout my video. 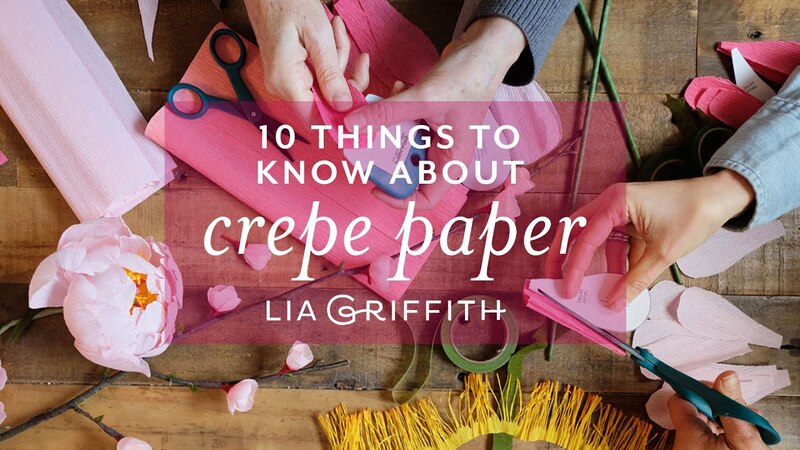 You will also learn what type of crepe paper is best, depending on your DIY craft project. For example, you’ll hear me talk about a crepe paper that’s great for kids’ crafts, which crepe paper to use for flowers, and how to enhance your projects with certain craft materials. Hopefully our video on the top 10 things to know about crepe paper gives you a better understanding of what to look for when buying and using crepe paper! If you scroll down, I have listed my favorite craft tools for making crepe paper flowers as well as the craft materials we use most often for our handmade flowers. In the video, I also cover some things to look for when buying these materials. Explore all of our crepe paper. If you like our video on the top 10 things to know about crepe paper, let us know in the comments below! To be the first to know when our new courses launch, be sure to hold your seat at the Lia Griffith Craft Academy. Thanks so much, Great information, I will create so many flower from your videos. I can’t wait to get started on some of the giant crepe paper flowers and would like to know if it is best to stretch the crepe paper using your fingers or to use a large ball embossing tool? If a large ball embossing tool is required do you know where I can purchase one? Great information! Excited to create some flowers! Your video does not work! It works fine on my end. What browser are you using?